Thank you for your interest in St. Andrew’s Episcopal Church! One of our favorite worship songs is called “All are welcome in this place” Our prayer is that you feel welcome here. If you are interested in learning more about us, we would be honored to join you in this exciting adventure that we call “faith”. On the third Sunday of the month, we host a “Newcomers’ Coffee” after the Saturday 5:30pm worship service and after the Sunday 10:00am worship service. This is a brief gathering for you to get basic information about our parish family. You’ll meet our Pastor, and we promise you warm fellowship as we answer any questions that you might have about our church and parish family. 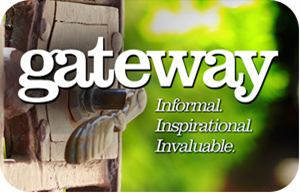 the Lord is callin g you to explore more deeply your relationship with St. Andrew’s, we invite you to attend “Gateway.” Gateway is held quarterly and is an opportunity to discover more about our rich Anglican traditions, as well as our parish’s history, beliefs, and mission before you make a commitment. We encourage you to come with your questions and an eagerness to embrace your calling as a disciple of Jesus. Please contact the church office at 219-462-4946 if you are interested in attending. Those interested in the journey to explore more about the Anglican Communion and the Episcopal Church are invited to participate in our “Discovery Series.” This 8-week class explores the beliefs and core values of our church. It’s never too late to join as each week covers a unique subject matter. After completing this series, those who are interested in becoming “official” members of the Episcopal Church may be confirmed or received by our Bishop, Douglas Sparks, during a moving and powerful ceremony.